EcoSys is a web-based project control software that delivers the deepest capabilities to support the complete spectrum of solutions within the Project Controls discipline. It is a comprehensive solution that unifies all aspects of project portfolio management and capital program management via budgeting, forecasting, and performance reporting. EcoSys erases the gap that has caused so many issues between planning and managing project execution. With EcoSys, you no longer have to use separate Finance and ERP systems that weighed your performance down and proved too rigid for project planning and cost controls. You don’t require external scheduling systems that are not designed to work with costs and historical data. EcosSys centralizes your project controls and functions into a single, unified package to make things easier for you and your organization. EcoSys has proven to be a quite friendly and intuitive while being a superior project control platform even with its deep planning and cost control capabilities. It offers a very familiar Excel-like interface to make tasks easy and simple but the platform is built and operates on a database with full business rule enforcement, audit trail, and role-based security. The system’s customizability enables users customers to create and implement custom spreadsheets, formulas, reports, and even terminology, allowing them to make the ideal fit possible for an organization’s specific industry and internal needs. EcoSys is a highly proficient platform in three areas: (1) it gives users the ability to administer best practice project cost controls directly within the system. While most organizations have good data in multiple systems, EcoSys is built to function as (2) a world-class integration platform as well, helping users make a “single version of the truth” that comprehensively include data from schedules, cost actuals, commitments and contracts, time sheets, and more. 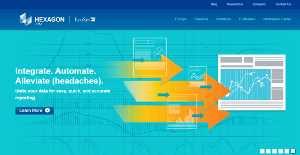 Based on that data, EcoSys uses its (3) built-in reporting engine to generate automated, real-time reports and dashboards, controlled by end users themselves, eliminating the need or reliance on IT or outside consultants. What Problems Will EcoSys Solve? 1. Many organizations have invested significantly in project scheduling systems and financial/ERP systems, but not in Project Controls software. Instead, they’ve struggled to manage the cost side of projects and programs by force feeding systems that weren’t designed to provide cost controls, developing homegrown solutions, or more likely, falling back to using Excel. While Excel provides the desired flexibility, it is ill-suited for the complexity and size of today’s projects, resulting in many instances of manual errors, challenges with version control and file organization, audibility limitations, and significant time wasted performing manual processes and data manipulation. 2. EcoSys was designed specifically to drive full lifecycle project controls. Following years of implementing existing project management systems and drawing from the experience of designing and developing the Primavera project management suite (now P6), EcoSys was introduced in 2006 in direct response to customer needs for a better project cost management and controls system As a result, EcoSys is well suited to today’s enterprise environment, designed with the user experience in mind and delivering the following key differentiators for full lifecycle project controls in a single system. There are well-liked and widely used systems in each software group. But are they essentially the best fit for your organization’s unique wants? A market-leading software solution may have thousands of subscribers, but does it present what you require? For this reason, do not blindly shell out for popular systems. Read at least a few EcoSys reviews and think about the elements that you desire in the software such as the fees, main tools, available integrations etc. Then, select a few solutions that fit your wants. Try out the free trials of these products, read online opinions, get information from the maker, and do your research thoroughly. This in-depth research is certain to aid you select the finest software platform for your organization’s unique needs. How Much Does EcoSys Cost? EcoSys’s enterprise pricing information is available only upon request. Contact the company for more details, and ask for your quote. We realize that when you make a decision to buy Project Management Software it’s important not only to see how experts evaluate it in their reviews, but also to find out if the real people and companies that buy it are actually satisfied with the product. That’s why we’ve created our behavior-based Customer Satisfaction Algorithm™ that gathers customer reviews, comments and EcoSys reviews across a wide range of social media sites. The data is then presented in an easy to digest form showing how many people had positive and negative experience with EcoSys. With that information at hand you should be equipped to make an informed buying decision that you won’t regret. What are EcoSys pricing details? What integrations are available for EcoSys? If you need more information about EcoSys or you simply have a question let us know what you need and we’ll forward your request directly to the vendor.